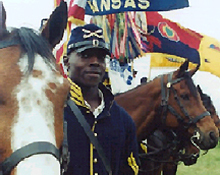 Fort Riley is located in northeastern Kansas, one hour west of Topeka, the state capitol. Those who live in the local communities are friendly and helpful. The area is “laid back” with a suburban lifestyle and pace making it great for raising children. Fort Riley is home to 1st Brigade, 1st Infantry Division (Mechanized); 3d Brigade, 1st Armor Division; and 937th Engineer Group (Combat). Many military Families have enjoyed the area enough that they retire here.